She was born on January 10, 1871, in Lungeni, Iaşi region, in the family of Stephan Crushevan. She died on 13 March 1933 in Chisinau. A romanian devoted to the work of charity, becomes a member and activates in various institutions operating in Chisinau: the board of directors of the Olga orphanage; Community of charity sisters Hârbovăţ; The House of Labor of the Society of Well-Being; Society of the people in need beside Gymnasium First of boys. She is preoccupied with the fate of women in society (1917-1932). Member of the Moldavian Women’s Cultural League (since 1917). She has a French course at the Children’s School of Girls in Chişinău (since 1922). 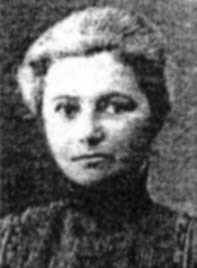 She is elected president of the Women’s League of Bessarabia (1931). She knew a few languages. He was interested in agriculture and beekeeping issues, actively collaborating with the publications “Plodovodstvo” and “Bessarabskoe selskoe hoziaistvo”. Prints the monographs: Livestock of Gheorghe Lazo, (Chisinau 1911), Treaty of apiculture (Chisinau 1916). She travels a lot in the countries of Europe. Elena Lazo house was visited by the poet Olga Crushevan, poet Nicolai Costenco, writer Constantin Stere, physician Toma Ciorba, Metropolit Gurie. Sursa : Iulire Colesnic, În lumea asta sunt femei…, Chişinău, Ed. Cartier, 2016, p.313-317.